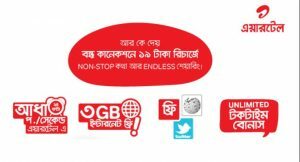 airtel Bondho SIM Offer!Bangladeshi one of the popular telecom operator airtel has come airtel Bondho SIM Offer for their valuable customers.All airtel prepaid bondho SIM users can get a very attractive offer.If you have a airtel bondho SIM,you can get 3GB data free for any uses.If you enjoy this offer or know more about this offer please read this full article for get all information and clear concept. After recharge TK19 customers can get 19 minutes free for his main balance. Users can enjoy 0.5paisha/sec airtel to airtel and 1paisha/sec in other operators. 3GB free data for the day in whole month. To check your offer details please dial *222*2#. After first recharged tk19 customer can enjoyed internet and special call rate offer. Customers can enjoy internet in 24 hours and check internet balance need dial to *778*40#. The internet will be given 3 month. 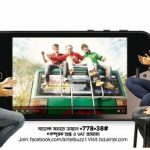 2nd and 3rd internet customers can get upon usage minimum tk 30 each monthly. The validity of this internet balance in 30 days. The special call rate validity in 30 days. To stop this offer please go your message option and type STOP and send to 4000. Know more about please dial 1212(Free). 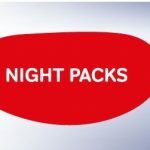 Now all airtel prepaid bondho SIM customers can get airtel Bondho SIM Offer in whole month.Have your any questions or know more about this offer please comments the box.We will try to best to solve your problem.